Teri manages two of my rental properties in Sackets Harbor, New York. She is attentive to detail in maintaining the homes while finding the right tenant mix. She is also consistently responsive in answering my questions by phone or email. I highly recommend Teri for your property management/sale needs! Whenever I needed any referrals or information, Ms Joan was there to help me. As a non local it was immensely helpful. She's kind, always calm about the situations and always has an informative explanation ready. She made real estate easy for me, and taught me a lot. Going forward, if I need a realtor or real estate help in the area again, I know exactly who to come to. Ryan S.
RmebratsClient, Buyer Joan was a true godsend when we decided to purchase a home. She was always professional but fun to work with. Her knowledge of her profession and her ability and willingness to help were greatly appreciated. She was recommended to us by a friend and he did not steer us in the wrong direction. We will definitely refer Joan to anyone we know who is in the market for a home. in the entire area, from every company! 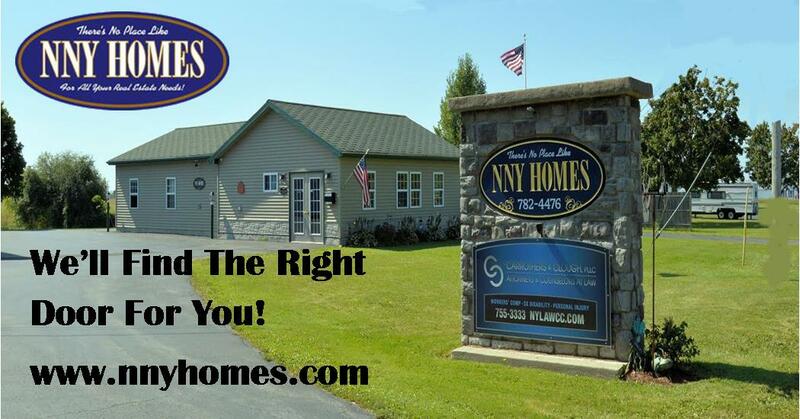 Our agents at NNY Homes are always happy to help you with any home no matter what company or agent has it listed!